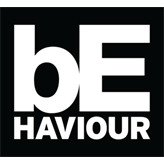 Behaviour is seeking programmers to develop gameplay or system features for the live online horror game Dead by Daylight. The programmer will work, in a dynamic environment, with fellow programmers as well as game and level designers on prototyping, designing, implementing, and improving many aspects of the game. Experience with online multiplayer game programming is a plus.